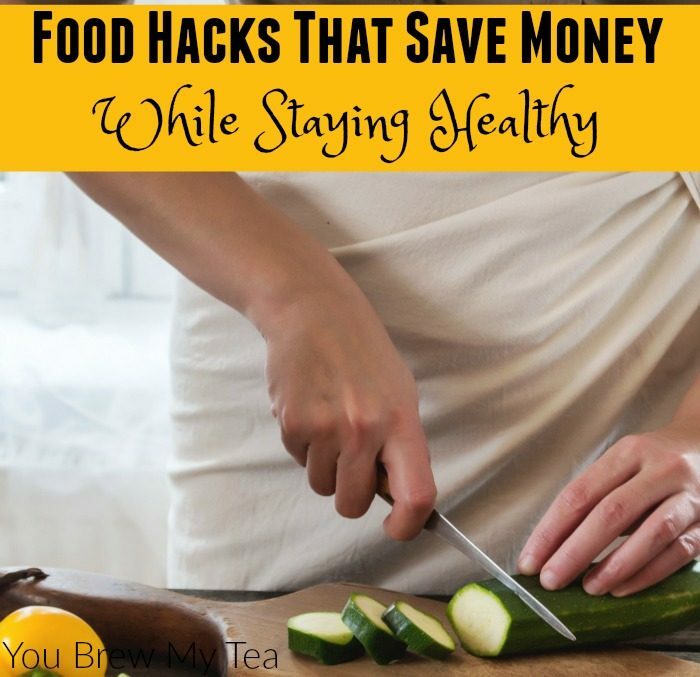 I am always looking for food hacks to save money while still eating healthy. It’s so hard to manage money when you try to eat healthier. We spend at least $35-$40 a week just on fruit and fresh vegetables. That’s really being tight on portion control. I would love to feel like I could spend more, but instead, these food hacks help us to make the most of our money while staying healthy. I asked some of my readers last week on our Facebook page about their favorite food hacks or kitchen hacks. While many things they mentioned were already kitchen hacks I utilized, I was happy to see a few things I had either forgotten about or never heard of. I love knowing that others are looking for the same tips I am, and seeing their first-hand experience makes it easier for me to determine if it will work for me. Crockpot Batch Cooking. This was one thing multiple people mentioned. Crockpot batch cooking is one of those food hacks that just makes perfect sense. If you are trying to save time and money, having healthy options ready and on hand at all times is a huge bonus. I already use my Crockpot regularly for this, but many may not think to do this. Cook multiple chicken breasts with basic seasonings. Shred and portion into 1 cup bags or freezer containers to use in casseroles, soups, quesadillas, tacos, or sandwiches. Cook dry beans in large batches. Portion into 2 cup portions to use as sides, for burritos, or in soups. Make homemade stock. Use chicken bones or vegetable scraps to slow cook homemade stock. This is healthier and cost-effective. Buy mark down produce. Many people mentioned one of my favorite food hacks that can save money. Buying marked down produce is a great way to save a ton of money while still giving your family fresh and healthy foods. Most marked down produce is still usable, you just have to use immediately or store appropriately. Freeze overly ripe bananas for use in smoothies, sweet bread, and cookies. Prepare and portion vegetables for the freezer. 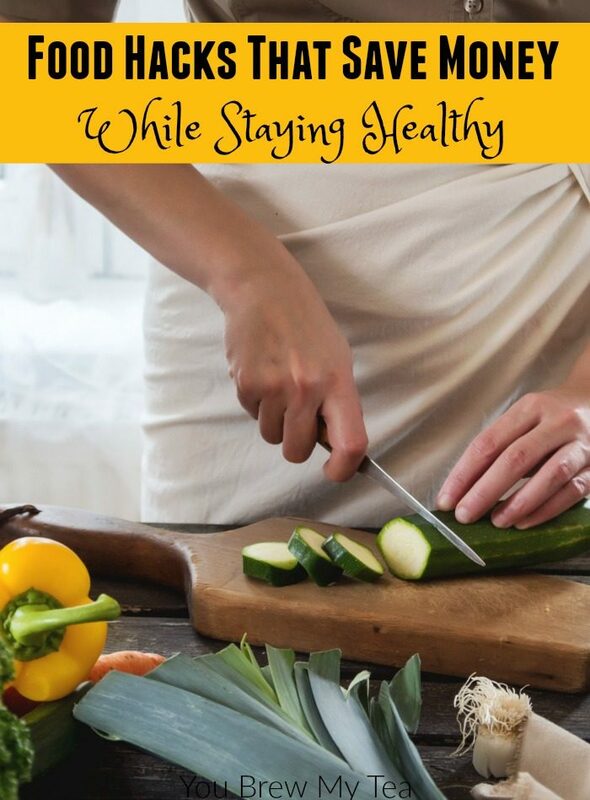 Bell peppers, onions, squash, zucchini, green beans, peas, and broccoli can all be prepped and frozen to use in soups, stir fry, or to steam when ready to use. Prepare and freeze berries, melon, mangoes, and papayas. Dehydrate ripe apples and pears. Get to know your butcher. This is one of the best tips I can share with you. Your butcher is the best friend you can have in your grocery store. Not only will they be the one to give you the best cuts of meat, they can tell you when there are special deals and markdowns that you can take advantage of to lower your budget. Ask for manager special meat cuts. Ask for freshly ground meats (beef, turkey, and chicken). Learn their sale cycle and rotation for markdowns. Bargain at the Farmer’s Market. The best deals on fresh produce are almost always at the farmer’s market. The easiest way to grab those deals is to shop at the end of the sale day. While you won’t have as large a variety to choose from, you will get better deals. I recommend asking the vendor what kind of deal they will give you if you buy all of the items you are interested in grabbing. Often times, they will be happy to cut you a great deal just so they don’t have to carry it all home. Mind what you drink. This is one of my top food hacks. It’s all about realizing where I am wasting money. We have to buy bottled water at our current home as even with a filter, the local water still causes stomach upset for me. That means that our beverage budget adds up fast. Since I know I need the water for my health, I have cut out almost every other beverage. We rarely have soft drinks, the only juice we buy now is orange juice for smoothies, and while I drink coffee and hot tea, I limit myself to just one cup per day. One of the biggest financial wastes in a food budget is what we are drinking. One of the biggest financial wastes in a food budget is what we are drinking. Whether it is soft drinks, juices, coffee, or alcohol, it can be given up. I spent a month weaning myself off of everything and now find it much easier to manage drinking water throughout the day. Start slowly, and remove one more thing each day until you are down to exclusively water, or water with just 1-2 other beverages per day. You’ll see a huge impact on your grocery budget, and your health. Make your own meal kits. One thing that many fall into the trap of using are the ready-made boxed meal kits. These are full of preservatives, chemicals, sugars, and high-fat alternatives your body doesn’t need. It’s time to make your own meal kits from scratch. There are a few that I personally think are great to keep on hand, and that I find to be budget and diet friendly. Soup mixes with dry beans, seasonings, and pasta that you make and store to add to homemade stock and fresh vegetables or meats. Homemade seasoning blends for tacos, fajitas, barbecue, or even an Italian seasoning for pasta dishes. Homemade pancake or waffle mix, brownie mix, gravy mix, cream soup mixes, and cookie mixes. Food hacks aren’t just about how to make something easier. They are also about ways to save money and stay healthy. These tips are some basic things that really help me stay in budget, but also keep the focus on healthier foods for my family.